BARRON COUNTY -- Two people have died following a crash on Hwy 53 near Haugen, according to a press release from Barron County Sheriff Chris Fitzgerald. 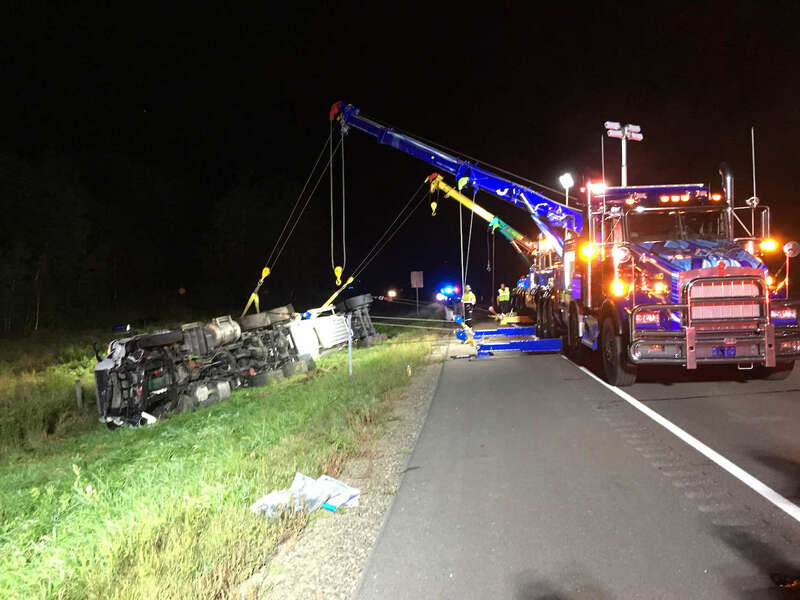 (Press Release) -- On Sunday, September 23, 2018, at 12:50 a.m.m the Barron County Sheriff’s Department received a 911 call of a semi vs car accident on Hwy 53 north of Haugen. Deputies from the Barron County Sheriff’s Department along with the Rice Lake Police Department, Bear Lake Haugen Fire Department, Washburn County Sheriff’s Office, Rice Lake Fire Department, LMC Ambulance and Life Link Helicopter responded to the scene. Upon arrival it was determined that a semi loaded with liquid oxygen driven by Jeremy Loeffelholz, age 43 of Orfordville, WI, was traveling north on Hwy 53. A car traveling south being driven by Mathew Krear, age 28 of Chetek, crossed the median and struck the semi head on. Krear and his passenger, Morgan Lasley, age 20 of Chetek, were both deceased at the scene. Loeffelholz was treated at the scene and released. No oxygen was released during the crash and Hwy 53 was closed for about two hours. The accident remains under investigation by the Barron County Sheriff’s Department with the assistance of the Barron County Medical Examiner and is being reconstructed by the Wisconsin State Patrol.